The LOOPS condoms are all conform to the standard EN ISO 4074: 2002 and bearing the CE0120 marking. This International Standard specifies minimum requirements and test methods for condoms made ​​from natural rubber latex, which are provided to consumers for contraceptive purposes, and to assist in the prevention of sexually transmitted infections. 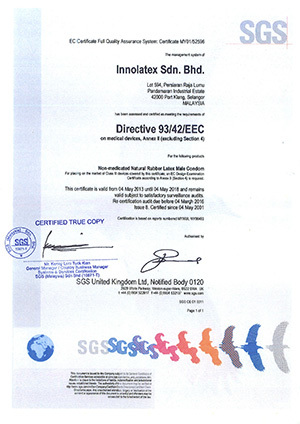 We have all certificates to offer you high quality products. All brands and models are deposited.